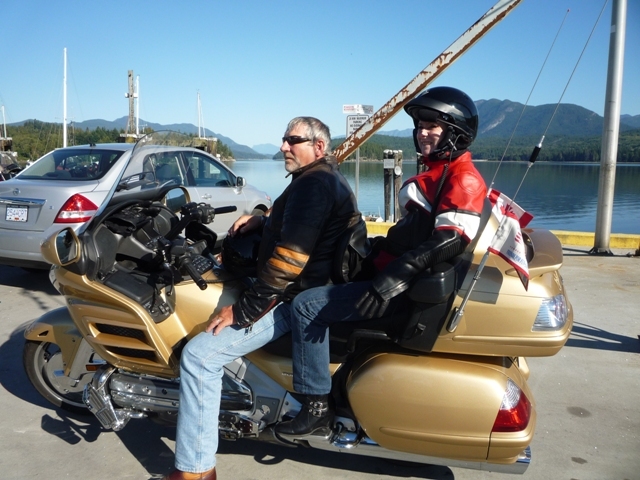 She lives in the country surrounded by wildlife, rides a Honda Gold Wing 1800 motorcycle, and has been an active member of the Gold Wing Road Riders Association, B.C. D Chapter, for three years. Not the typical profile you would expect for an antiques appraiser. Yet Gale Pirie, an accredited and independent personal property appraiser (i.e., not affiliated with any auction house or store), is highly respected in her field and considered to be one of the best in British Columbia. She has also appeared as an appraiser on the Canadian Antiques Roadshow. Although she is known for her expertise in porcelain and pottery, she is a generalist – “appraising everything (except real estate), from human skeletons to railway tracks and dinosaur teeth.” For Gale it is not just about determining an item’s value, it is also about creating and understanding the connections to our past. Gale grew up in an affluent neighbourhood in Vancouver called Shaughnessy, but wasn’t surrounded by antiques in her home. For her, the connection came from a few special items that her grandmother had brought over on a ship from Europe in the late 1920s. Although a privileged Catholic family in Poland, they were forced to leave the country with very little. Her grandparents managed to bring their young family and a few possessions that included a sewing machine and some feather quilts. Gale’s mother took great care of the quilts over the years and as Gale and her twin sister got older, their mother had the quilts redone for their respective hope chests. This is a piece of Gale’s family history that she treasures and that helped her to see early on the importance of preserving and appreciating where we come from. Gale went on to become an educator in both the public school system and in colleges. She eventually became the Director at a public college, from which she has since retired. 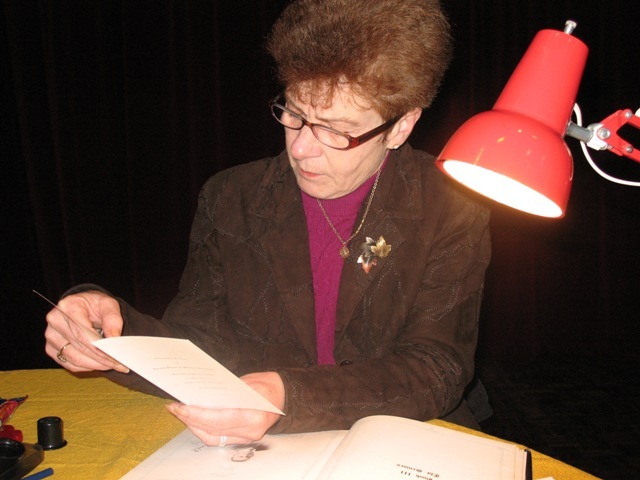 Throughout her career she has always maintained a passion for literature, history and antiques. She has been especially fascinated by our local history, whether from our aboriginal ancestors or from those who came later to settle the land. She believes that all of these stories and artifacts make up our country, and it is important to maintain these connections. While still working she fueled her passion for history and antiques through ongoing research and study, eventually becoming an accredited appraiser in 2000. She began doing appraisals part-time, initially working with lawyers and insurance companies appraising items for legal purposes. Most of her work came from word of mouth referrals, but in 2007, just around the time she retired, she received a call from the producers at CBC to appear as an appraiser on the Canadian Antiques Roadshow. This led to increased exposure for Gale’s appraisal work, and today she has a busy practice offering direct appraisals for individuals one-on-one or at appraisal clinics, as part of fundraising events, evaluating in-kind donations, offering her services for pre and post loss insurance, and for legal purposes. Her work is quite diverse as are her clients, some of which are scattered all over the world. As much as she can offer appraisals over the Internet, she prefers to do them in person as she can create a better context for the item and its historical relevance. This then allows her to develop a deeper connection to the story behind the item and this may have an impact on the value. Some of Gale’s favourite moments are when she can help kids get excited about the past and connect with their own family’s history. While offering an appraisal clinic at the Kerrisdale Antiques Fair in Vancouver, Gale was asked to appraise some items for a father and his three young sons. They had brought in three albums of postcards and the boys were not all that interested initially. Through a series of questions, and with a purpose in mind, Gale was able to engage them. The albums contained 1000s of postcards and letters written back and forth between their great grandparents while the great grandfather was working overseas. She explained to the boys that they were all written in pencil as they didn’t have ballpoint pens then and that for the time, these postcards would have been considered quite “steamy”. The albums offered an amazing overview of what was going on during that era but also a detailed account of their great grandparent’s courtship. Although British Columbia is still considered quite young by historical standards, Gale believes that the “wild west” is quite rich with history. She loves the notion that “many people who came out here were either looking for something or running away from something.” As a result, she is fascinated by the “characters who built our province”. From the missionaries to the prospectors looking to make it rich during the gold rush to the Japanese Internment camps…they have all collectively added to our province’s diverse history. In Coquitlam, B.C. Gale was asked to appraise items from a gold rush hotel in Rossland B.C., the Hotel Allan. The hotel was designated a heritage hotel as a result of the work of Bill Barlee, a former B.C. politician raised in Rossland, who is also well know for his impressive collection of “old west artifacts” and a popular T.V. series called Gold Trails and Ghost Towns. He also wrote a book called Gold Creeks and Ghost Towns and much of his collection can now be found in the Canadian Museum of Civilization in Ottawa. Unfortunately after the hotel was officially designated, it burned down. However, many of the historical items had luckily been removed when it was sold. Turns out the family that hired Gale had at one time owned the Hotel Allan. Gale was also recently flown into the Crescent Valley to appraise some items in a heritage building that she discovered was once the Crescent Valley Jail. While there she was quite intrigued by the room where she was doing the appraisals and by asking questions and doing a bit more research, she realized that the room was once the cell where the Sons of Freedom (Doukhobor Extremists Group) were incarcerated. Gale continues to research our history through these many connections and passionately shares these stories with her clients. Even though Gale lives in B.C., she travels extensively and offers personal property appraisals across Canada and Internationally. Gale has a Web site where she can be contacted and she also regularly appraises at local flea markets and antiques at the Croatian Cultural Centre and at the Kerrisdale Antiques Fair. 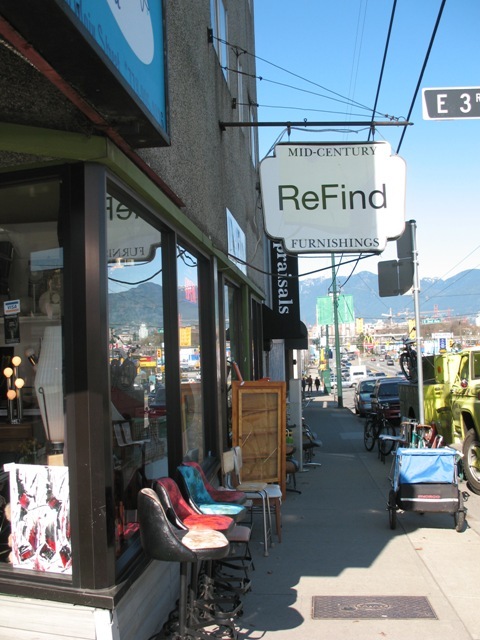 Once known as “Antique Row”, Vancouver’s Main Street has evolved into one of the city’s most eclectic and vibrant shopping districts. At first glance, it would appear that “Antique Row” no longer exists and that the stretch of antique stores that used to be found between 26th and 29th Avenue has been replaced by a new breed of designer and specialty stores. However, many of the original antique stores are still around, and several new stores have since opened…they are just more spread out in what could now be called “Main Street’s Antique Corridor”. From just off Hastings Street all the way to Marine Drive you can easily visit up to 25 antique and collectible stores, all along one easy access route that crosses the city from North to South. Many of these shops also sell their wares online via their respective Web sites and will ship across Canada and the United States. A great starting point is the Antique Market (1324 Franklin) which is located in an industrial part of town a few blocks east of Main Street. In the business over 30 years, this store started out on Main and was there 28 years before the owner, Harry Stryer, decided to consolidate the store front with the warehouse six years ago. An avid traveller and seasoned business man, Harry has transformed his warehouse into a stunning retail space that showcases and impressive collection of architectural antique wrought iron, antique French iron, period lighting, antique lighting, Chinese antiques, and antiques from England, Belgium as well as from more exotic places like Egypt and India. From there, head west towards Main Street and visit The Source (929 Main). Located on the border of Chinatown, this shop has also been around for over 30 years. Owned by two sisters, Lorraine Shorrock and Clare Reandy, The Source specializes in heritage iron and brass (building and furniture hardware), antique furniture, stained glass, architectural antiques, and British Pub items (e.g., original pub signs). A few blocks further South on Main Street, between 2nd and 3rd Avenue, is another fun place to stop. Here you will find three vintage stores that specialize in Mid Century Modern; Your Fabulous Find, ReFind, and the new Space Lab. Although technically not antique shops, these stores cater to the “20 somethings” looking for Danish Teak, Art Deco, or what one of the owner’s affectionately calls “groovy bachelor pad stuff”. Maynards, which has operated as a Fine Arts and Antique Auction House since 1902, has moved their showroom next door at 1837 Main Street. Just a few blocks up the road is another well known and respected antique store called Vancouver Architectural Antiques (2403 Main). 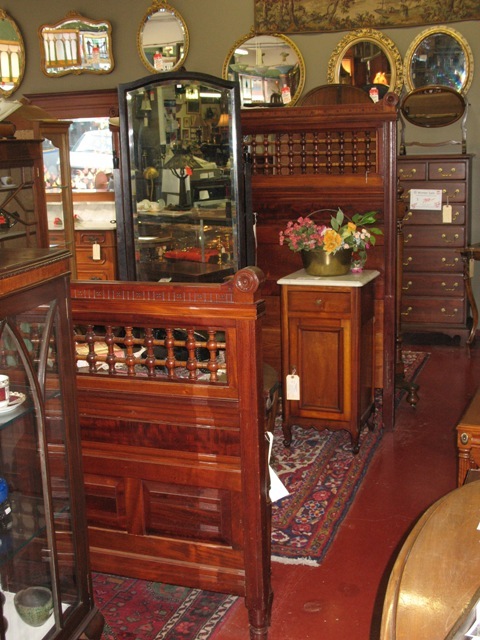 At this location since 1994 they specialize in antique lighting, fine antiques, and estate appraisals. Continuing south, you come across two very different stores at Main and 16th Avenue; Sellution Vintage Furniture (3206 Main) and Alexander Lamb Antiques (3271 Main) which has a small backroom that houses a collection of vintage tribal photographs and artifacts in a mini-museum called Exotic World. 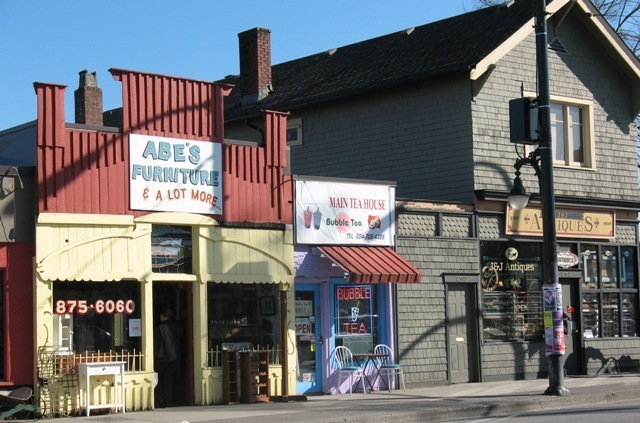 Baker’s Dozen Antiques is the next must see store on this route. 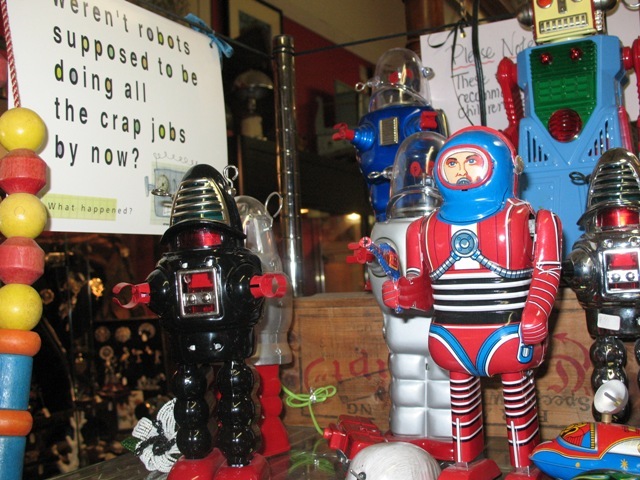 Located at 3520 Main Street, this store caters to antique toy collectors but also features an impressive collection of dolls as well as a diverse selection of folk art and other harder to find antiques and collectibles. When there, ask to see Heather Baker’s provocative three dimensional collages in the back room. Past King Edward Avenue and heading towards the original antique row is a cluster of antique stores that specialize in European, Asian, and North American antiques. Arriving here is like stepping back in time, many of the buildings in this area were built in the early 1900s. These include Red Corner Antiques (4219 Main), Modern Time Antiques (4260 Main), Red Rose Antiques (4285 Main), Renewal Antiques (4296 Main), Wholesale Antiques (4373 Main), JoJo’s (4376 Main), Abe’s Furniture (4386 Main), J&J Antiques (4394 Main), Le ‘Gent Antiques (4402 Main), Timeless Antiques (4406 Main), Old Stuff Two (4510 Main), and Sugar Barrel Antiques (4514 Main). Of particular interest in this section of Main Street is Secondtime Around Antiques (4428 Main). In their 30th year of business on Main Street, the owners Mark and Tracey Porter buy mostly from Belgium and France and in lesser amounts from Austria and Germany. They do carry English antiques but buy them locally and selectively. With over 8000 square feet of showroom space, they offer a wide variety of styles such as Victorian, Art Nouveau, Arts and Crafts, Edwardian, Art Deco, Louis X1V, Louis XV, Federal styles including Hepplewhite and Duncan Phyfe, as well as Country French and Canadiana. From here, head further south on Main all the way to Marine Drive, turn right and you then come across two other larger well known antique stores: Antique Warehouse (226 S.W. 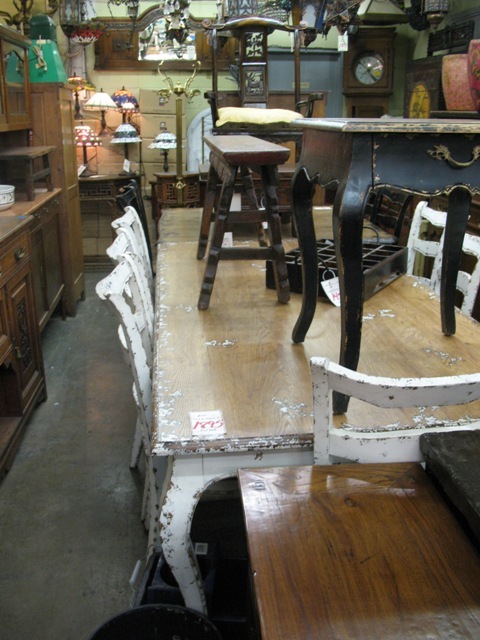 Marine Drive) and Farmhouse Antiques (1098 S.W. Marine Drive). This makes for a full day if you plan to visit all of these stores, but rest assured there are many excellent places along the way to stop for coffee and lunch.